The first movement of Dvorak’s Symphony no. 7 overwhelms us with its cosmic panoply of extremes. It quickly sprints towards a sharp peak, only to reveal a range of ever-higher peaks beyond: the road map for this survey of the universe. In less than eleven minutes, this movement cycles through a series of several scenes, each one a pairing of a quiet interlude with the climax towards which it grows: a humbling, noble declaration of grandeur. The rippling waves of those stunning climaxes barely have time to fade, receding into faint little whispers of echoes, quaint reminders of the episode just passed, before they begin defying the law of entropy and sprouting again into the first steps in a chain reaction that will lead to yet another supernova. It would be hard to imagine a better summary of the sublime passion experienced throughout a human life. The second movement takes those meek, unassuming interludes from the first movement and develops them, amplifying them and giving them their due attention, teaching us that this, too, is a worthy aspect of life, and one worth celebrating. For a quarter of the entire composition, we are invited to meditate on the lazy and mundane days we take for granted at the time. This movement is the sound of Candide working in his garden. But this is no mere peaceful reverie, for even here there are suggestive clues that remind us that, even if we do become comfortable during these easy times, they won’t last forever. Drama will appear again soon. I often play light classical music in the background of my classes. One perennial favorite–used on days when the muse so strikes me for something slightly more intense–is Mozart’s Requiem Mass in D Minor. I’ve been intrigued with this work ever since I first heard it. When I think of Mozart, I think of the grace of his perfect genius: light, playful, clever, refined. But this final work, this is something different. Myth and legend and Amadeus aside, it’s still hard not to imagine some of Mozart’s own morose foreboding about his imminent demise embedded into the woeful strands of this work. Mozart is still himself, though, and even in a work of precise focus, moods run the full possible gamut: parts are mild and melancholy, parts are violent thrashing in the face of death, much is composed and dignified acceptance of mortality, a subdued peace reached between oneself and the way of things. The best experience with Requiem came one day several years ago when a class of older kids was reading to themselves while this played and after a while one girl turned to me and said, “This music makes me want to kill myself!” She wasn’t complaining about having to hear classical music, and she certainly wasn’t making a serious threat! She was joking (I’m proud that my humor is apparently such that otherwise misunderstood kids usually feel safe opening up without fear of being judged), and sharing a perception. I appreciated the fact that once again Mozart had worked his magic: across the gulfs of time and space, he had connected with a foreign soul and forged a bond. A concrete feeling about mankind’s inevitable drifting out of this world had been communicated as clearly as if he’d been sitting there telling her his life story. Of such is art. And when I then told the class the story behind this work–the story of Mozart’s tragic young death and the mysteries behind the completion of the Requiem–they were honestly fascinated. Of such is education. Last night my family saw Bella Rumore in concert; they’re an excellent electric violin quartet that did a wide variety of rock covers (you’ve never really heard “Back in the USSR” or “Smells Like Teen Spirit” until you’ve heard them on a viola and cello). The little kids all ran around and danced in the orchestra area, and the wife and I got to relax. I see they’re playing the Reed Whipple Cultural Center in November; that goes on the calendar now. They played as part of the Movies, Moonlight, and Music series at the Rainbow Library (where, as you know if you read my last post, due to my North Las Vegas residency, I now have to sit at the back of the bus). My wife said it was her favorite show that we’ve seen there. Anyway, while this cross-genre extravaganza titilated our aural sensibilities, my thoughts turned to art and I was reminded of Terry Teachout’s great running feature of throwing up random quotes he comes across, and I thought this might be a good way for me to share more material, balance out my categories, and have a more regular routine myself. I’ve wondered if this blog isn’t more popular because it covers so many topics–there’s something for everyone, but the whole package might only appeal to me. Should I break it up and start a bunch of smaller blogs? The answer is no. I hate the idea of compartmentalizing my life, and I love the idea of mashing all this variety together so that fans of one area might strike out to new territory and explore something else. A weekly quote collection might be a great way to do that. OK, enough said. Just in this scanty collection of quotes from diverse sections of the library, we can see strong strains of integrated, multi-disciplinary thought. And it is good. Quick, what’s the scariest verse in all of scripture? You might imagine some intense description of damnation, or an especially demanding requirement of sacrifice. For me, though, this is the one that always sends shivers down my spine: “And that same sociality which exists among us here will exist among us there…” (D&C 130:2). I’m sure this is primarily an affirmation of the eternal nature of the sealed family unit, but can it be read more broadly? Can this verse be interpreted to imply that, even in the Celestial Kingdom, I’ll frequently be surrounded by weird people who want to talk my ear off? I know, I shouldn’t be such a sourpuss, but that’s my natural inclination…so it’s just as well that we’re all here to overcome our lower natures and become more like God. Truth be told, I’m grateful for all the people I’ve encountered in the Church (and I’m grateful for the insights that help me to be grateful for it!). People that my introverted inner critic would be inclined to ignore after the most perfunctory howdy-do have, as we’ve worked together over time, become honestly dear to me, adding to my stockpile of varied experiences, and helping me grow in directions that I never could if my worship were limited to some kind of isolated navel-gazing. The Church is as true as-perhaps truer than-the gospel because it is where all can find fruitful opposition, where its revealed nature and inspired direction maintains an opposition between liberal and conservative values, between faith and doubt, secure authority and frightening freedom, individual integrity and public responsibility and thus where there will be misery as well as holiness, bad as well as good. And if we cannot stand the misery and the struggle, if we would prefer that the Church be smooth and perfect and unchallenging rather than as it is, full of nagging human diversity and constant insistence that we perform ordinances and obey instructions and take seriously teachings that embody logically irresolvable paradoxes, if we refuse to lose ourselves wholeheartedly in such a school, then we will never know the redeeming truth of the Church. 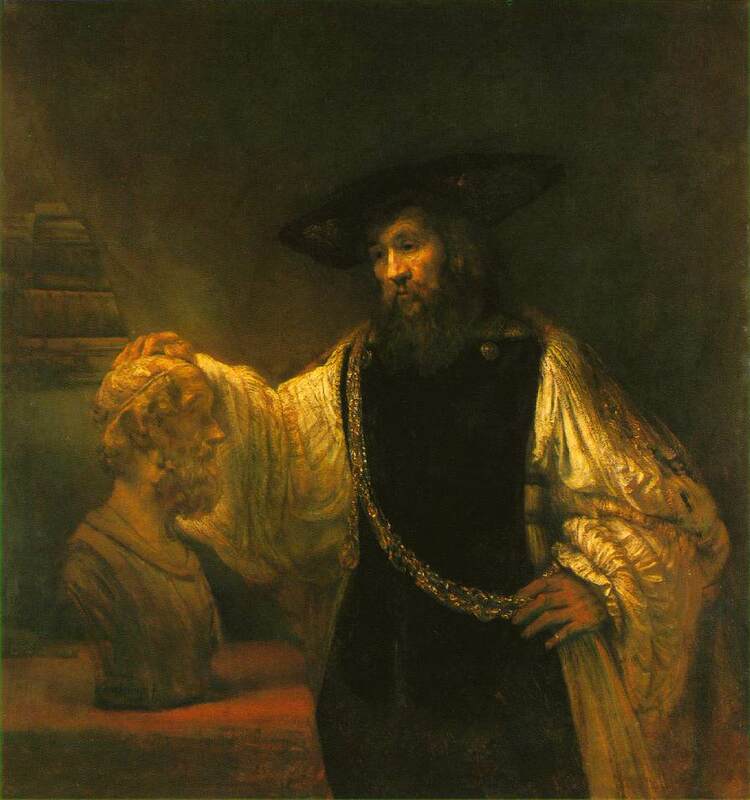 It is precisely in the struggle to be obedient while maintaining integrity, to have faith while being true to reason and evidence, to serve and love in the face of imperfections and even offenses, that we can gain the humility we need to allow divine power to enter our lives in transforming ways. Perhaps the most amazing paradox about the Church is that it literally brings together the divine and the human through priesthood service, the ordinances, the gifts of the spirit-in concrete ways that no abstract systems of ideas ever could. The bishop and I would listen intently and sincerely. One of us might next ask about their conversion to and testimony of the restored gospel. As we talked, eyes often were moist with tears as these good people recalled the confirming witness of the Holy Ghost and described their prior spiritual experiences. Most of the “less-active” people I have ever visited had a discernible and tender testimony of the truthfulness of the restored gospel. However, they were not presently participating in Church activities and meetings. 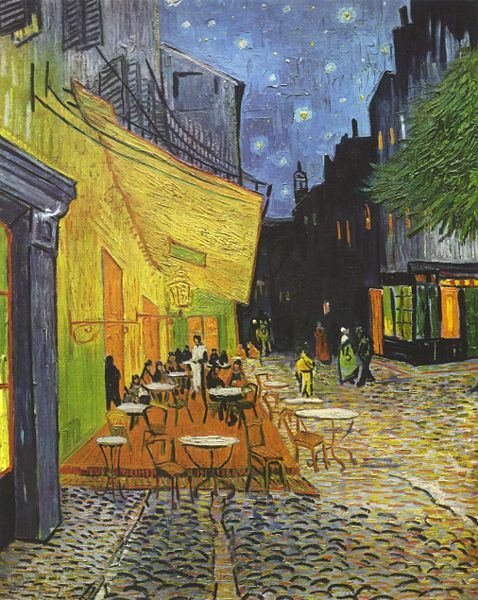 The outside world, though not necessarily hostile, is darker and colder than the warm , glowing, amicable cafe into which all in the painting are drawn. Not only drawn, but invited, as are all of the “human family of Adam” into the Church. It’s reassuring that such a place exists. So the next time you see me, go ahead and say hello. I’ll embrace the holier nature we’re encouraged by the Lord’s Church to internalize, and smile as I ask how you’re doing. I recently checked this out from the library, and love it! 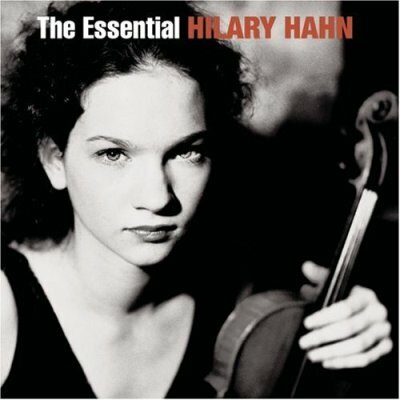 Hahn is a young violinist whose career already warrants this “greatest hits” CD. Not only is her playing spot-on perfect, but a fine set of works has been chosen for this collection. From Beethoven and Bach to Shostakovich and Stravinsky, these works are surprisingly cohesive, yet diverse enough to form an interesting collage. Further, I was impressed by her lucid, passionate written comments about the music she plays, in another disc I checked out. Spurred by that, I went to her website, where I found a fantastic playground of music-related writing by Miss Hahn. Read, among other things, “What To Do With Your Instrument When You’re Bored”– http://www.hilaryhahn.com/favorites/fav_07.shtml. I also noticed her website revolves around her music, not herself. No spoiled ego, no incongruously vamp-y photo section here (unlike some other classical musicians that I know cough-cough-Charlotte-Church-cough). Finally, a Hilary I can like! :) Borrow the CD, add her to your collection, and definitely check her out if she comes to your area.